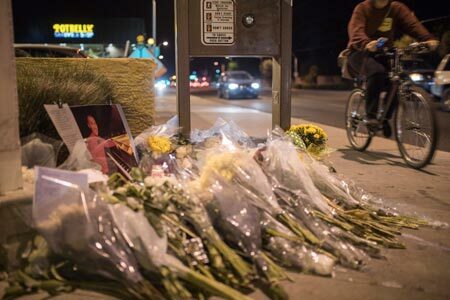 Tempe, Arizona—Xiaoying Wen, a doctoral student in music at Arizona State University, was killed while riding his bicycle near campus last Thursday. Tempe Police accident investigators report that Mr. Wen was in the crosswalk at Rural Road and Vista Del Cerro Drive when he was struck by a pickup truck. According to Tempe Police, the pickup had a green light. Wen’s friends say the light at that intersection is timed so that both directions momentarily have a green light. They have posted a video demonstrating their claim. Dr. Baruch Meir, an associate professor at ASU, said Mr. Wen was pursuing a Doctor of Musical Arts degree with a major in piano performance. Dr. Meir described Wen as “the hardest-working pianist I’ve ever worked with. He would practice seven, eight, ten hours a day.” Part of Mr. Wen’s graduate responsibilities included teaching and mentoring undergraduate students. Dr. Meir said he and another student kept vigil at the hospital and were there when Wen died later that night. Mr. Wen’s family is traveling to Arizona from China. We extend our condolences to Mr. Wen’s family and friends over this tragic loss.